If you want to write the next best-selling children’s books or just want to create stories for your own kids, this workshop is for you. Learn how to write stories kids and young adults will love and find out what you need to know to sell your book. We'll be quite a small group, so be sure to bring all your questions – we'll have lots of time for interaction. Special option: You may, but don't have to, bring 3 copies of the opening couple pages (first 500 words) of your children’s book or young adult novel (or up to 750 words if that gets you to the end of your picture book or to the end of your first chapter.) If you’re not currently working on a children’s story, don’t worry, we’ll get you started on the spot! Note: Following the formal end of the workshop at about 3:45, Erin will stay around to chat with you one-on-one and Brian will stay till 4:45 to help with your opening pages. Guest speaker Erin O’Connor has worked in children's publishing for 25 years. She is senior editor at Scholastic Canada, focusing on picture books and on nonfiction and book-plus projects. Erin began her career as assistant art director at Owl and Chickadee magazines, and at Scholastice spent many years with the school book clubs division acquiring everything from board books to YA novels. Erin understands children’s literature from both sides of the desk, as she’s also the author of 101 Math Jokes, 101 Cool Canadian Jokes, Canadian Cartooning and Laugh Out Loud Canadian Jokes – in spite of her kids, who don’t think she’s very funny at all. In Toronto, on May 5, the second guest speaker will be Laurie Elizabeth Flynn. 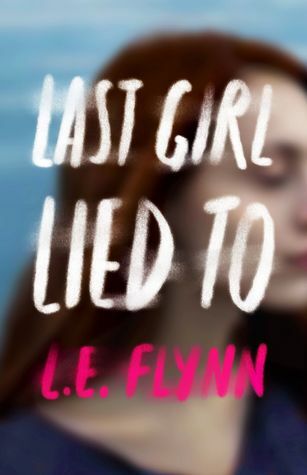 Laurie is the author of Firsts (Thomas Dunne Books/St Martin’s Press) and the psychological thriller Last Girl Lied To, to be released April 16, 2019 from Imprint/Macmillan, along with an untitled thriller to follow in 2020. She is also the author of Wattpad featured series The Boys Tell All. Her other short fiction has been named a finalist for the John Kenneth Gailbraith Literary Award. Laurie is a former model who worked in Tokyo, Athens, and Paris. She now lives in London, Ontario, with her husband, daughter, new-born son, and the world’s most spoiled Chihuahua. When she’s not writing about unlikable girls, you can likely find her hiking in the woods with her family, perusing thrift stores for vintage dresses, or binging reality TV. At the workshop, Laurie will speak about writing young adult fiction and her career to date. In Brampton, on May 11, the second guest speaker will be Tanaz Bhathena. Tanaz was born in India and raised in Saudi Arabia and Canada. Her critically acclaimed novel A Girl Like That (Farrar Straus Giroux, 2018) was nominated for the 2019 Ontario Library Association White Pine Award and named a Best Book of 2018 by The Globe and Mail, CBC, Quill & Quire, Seventeen, PopSugar, and The Times of India, among others. Tanaz is also the author of The Beauty of the Moment, which is due out Feb 26, 2019, (FSG and Penguin Canada), and a fantasy duology called Hunted by the Sky, with the first book coming out in spring 2020 (FSG and Penguin Canada). Her short stories have appeared in various journals, including Blackbird, Witness, Room, and of course on Quick Brown Fox. 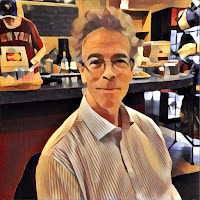 Workshop leader Brian Henry has been a book editor, author, and creative writing instructor for more than 25 years. He publishes Quick Brown Fox, Canada’s most popular blog for writers and is the author of a children’s version of Dr. Jekyll and Mr. Hyde (Tribute Publishing Inc). But his proudest boast is that he’s has helped many of his students get published. Read reviews of Brian’s classes and workshops here.